With over 10 years of experience, I can help your business, and the families you serve, in a number of ways. If you have a case which requires advanced reconstruction skills, I may be able to make it possible for your families to have the open coffin they might otherwise be denied. In the case of a severe accident, being able to view the deceased can help ease the trauma and reduce the sense of denial that's so often experienced. I am able to travel nationwide, out of hours, and my fees will depend on travelling time and the complexity of the work required - contact me for more information. Managing a mortuary operation can be very challenging because you're trying to balance a varying caseload against the needs of the bereaved. I can help you devise a set of quality standards and procedures that will give you the confidence that your clients are always given a helpful viewing experience. If you'd like to have an exploratory discussion, in total confidence, contact me. If you're fitting out a new mortuary I can help you with the overall design and specification of equipment. This work is charged on an hourly basis - contact me for more information. 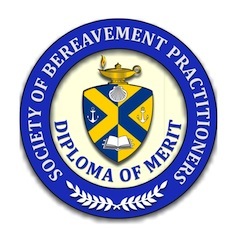 If you've an embalmer, I can offer you phone and email-based coaching (and training) to help you cope with unfamiliar or complex situations - contact me for more information.